This easter Weekend the WESC store on Carnaby street London are doing a couple of nice little promotions. 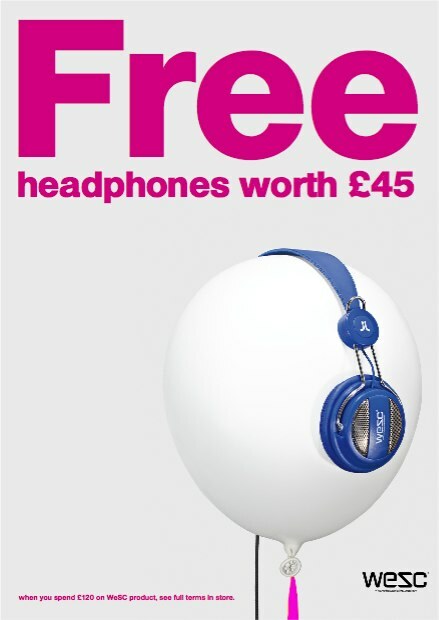 Here’s the deal, spend either £80 in store and get a pair of ‘Pick-Up’ headphones for free (rrp £40) or spend £120 in store and get a pair of Oboe headphones for free (rrp £45). 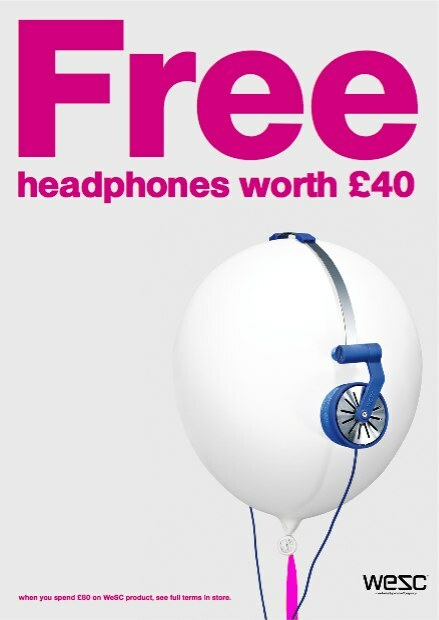 The offer is only on for a few days so if you are a WESC fan then don’t miss out. The offer runs on Friday 2nd , Saturday 3rd, Sunday 4th and Monday 5th of April 2010.